Mahalia Simpson is eliminated from The X Factor Australia — the sad news was announced on Tuesday’s Live Decider episode, November 10, 2015. Big T joined Mahalia Simpson in the Bottom 2 after receiving the fewest number of votes from the public. Singing for survival, Mahalia Simpson sings ‘The Climb’ by Miley Cyrus while Big T performed ‘I Believe I Can Fly’ by R Kelly. Voting for the final verdict, Chris votes to defend Big T and evict Mahalia; Dannii defends Mahalia and evicts Big T; Guy votes to evict Big T; James votes to evict Mahalia. The judges’ votes resulted in deadlock. 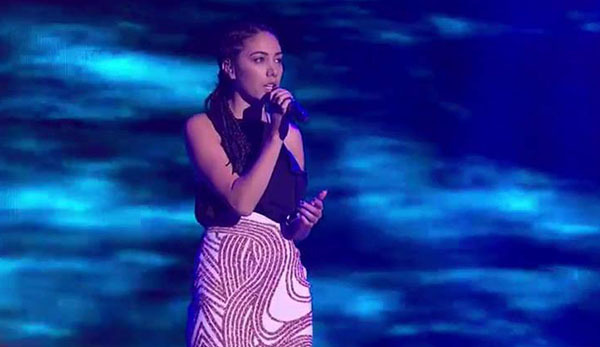 The final decision is up to the public and the act who got the least votes is Mahalia Simpson. Big T is safe and will return next week. Mahalia Simpson is eliminated from the competition. The Top 4 are Jes & Matt, Louise Adams, Cyrus Villanueva and Big T.
What can you say about the result tonight? Have something to add? Write comments below!